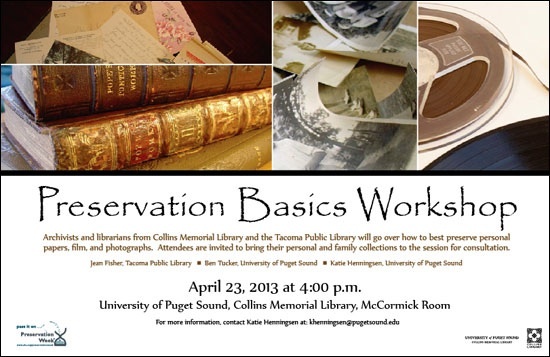 April 23, 2013 at 4 p.m.
Archivists and librarians from Collins Memorial Library and the Tacoma Public Library will go over how to best preserve personal papers, film, and photographs. Attendees are invited to bring their personal and family collections to the session for consultation. On Wednesday, April 24th, the Ravenna Alehouse will donate $2 from every pint of beer sold, from 11am-closing, to the Husky Reels project at UW Libraries! 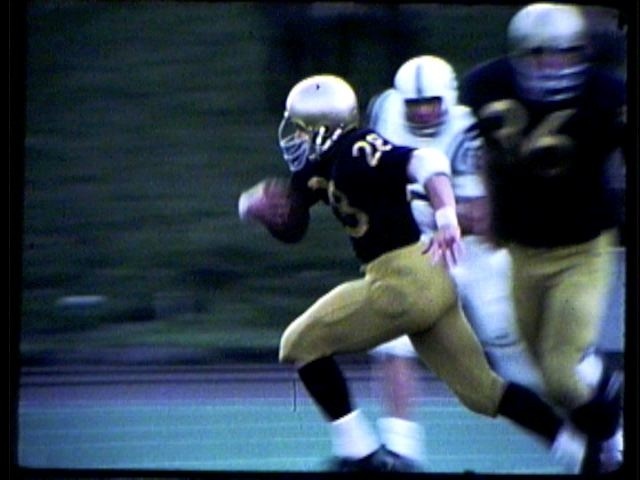 If you love the Huskies, if you love old film, or if you just love beer, come support Husky Reels, a project to save 7,000 films and videotapes documenting UW Athletic events from the 1920s through the 2000s. There will be a short program at 6pm and folks will be available to answer your questions. Visit www.huskyreels.org to learn more about ways to support the project.